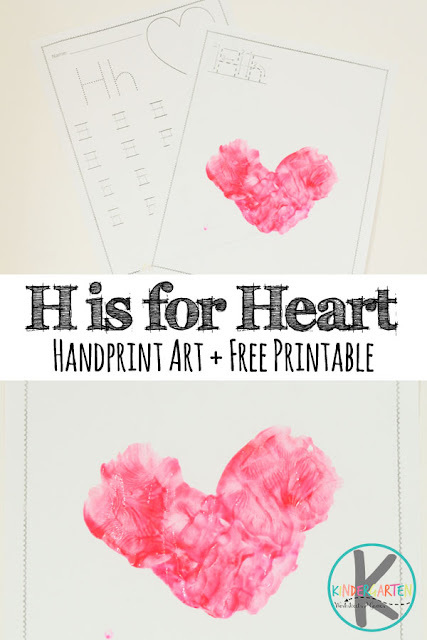 Next in the Alphabet Handprint Art Series is the letter H. This week we are sharing a H is for Heart handprint craft! 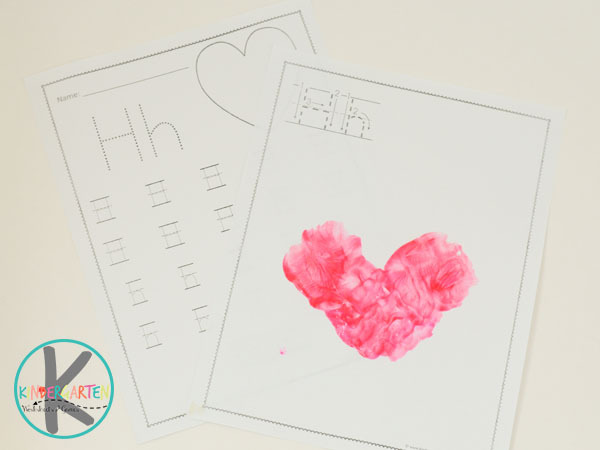 This craft is great for kindergartners as they learn the letter H. Don’t forget to print the free letter h worksheets to go along with it for more letter practice. 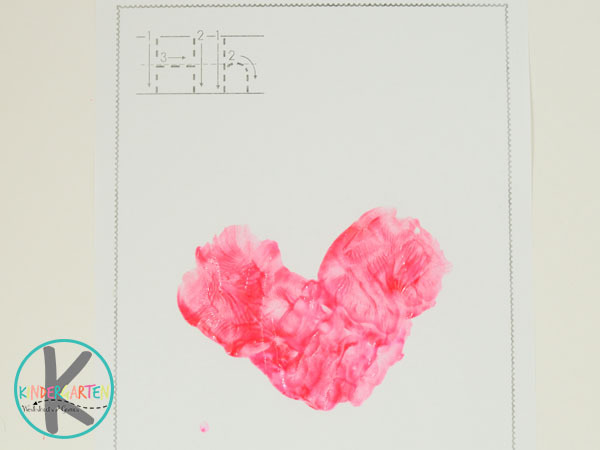 This craft uses just one color of paint and supplies to make an adorable, personalized heart. It’s always a lot of fun to for the kids to see how their hand print can turn into something else. For this craft, we make a pink or red hand print for the heart, although any favorite color can be used. It’s a simple and hands-on way to learn about the letter H! 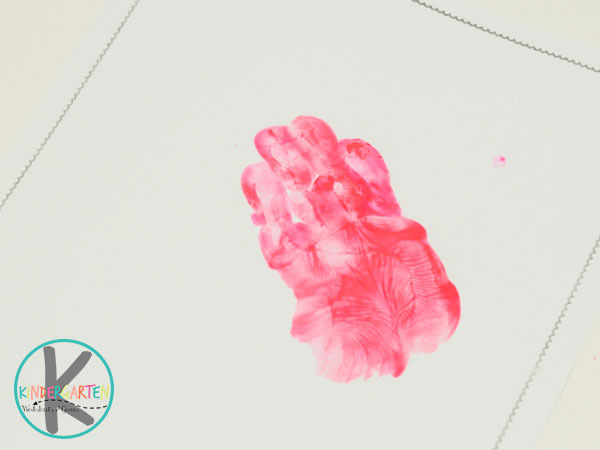 Start by making a pink (or color of your choice) hand print for one half of the heart. 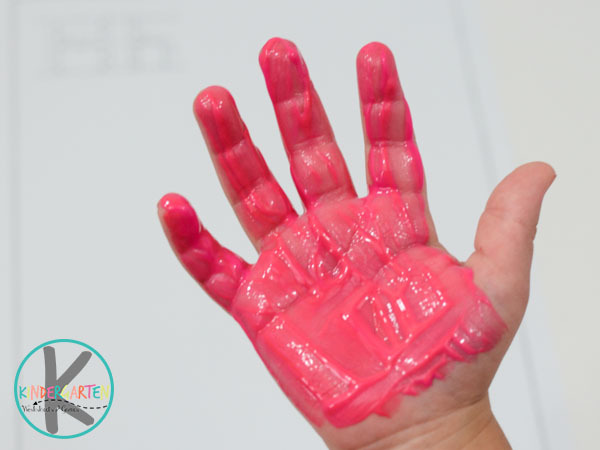 Paint the entire palm and fingers with pink paint, but do not paint the thumb. Turn the paper upside down. Press the hand onto the the center of the paper, tilted sightly towards the edge of the paper, keeping the fingers together. This is the first half of the heart. Next, make the second half of the heart. Paint the hand way as shown above. 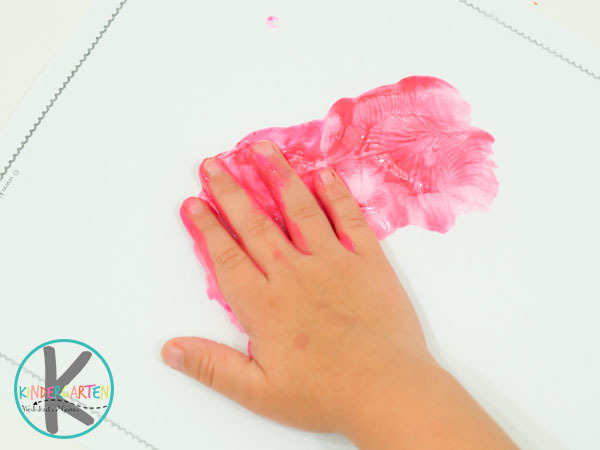 place the hand on the other side paper, overlapping the fingers on the first hand print. The heart is complete! Rinse hands with water or wipe clean.